I've said previously that I would be updating both versions concurrently until there isnt a need for the 1.7.10 version. There are lots of mods stuck in 1.7.10 and for that very reason I'll be updating it alonside the 1.12.2 version. I just tested the 1.12.2 version, it works very good I almost didn't find anything bad, the only thing I found is that even though the timestop says "Timestop is disabled for now" it still drains my hunger bar, but out of that, I almost N U T when I saw the 1.12.2 version uploaded, you are doing Dio's work, thanks! The Time Stop ability can't possibly drain your hunger when you activate it as it doesn't ever call the function for hunger to drain. The Stands do naturally drain hunger, perhaps that's what you're thinking of? You just released the 1.12.2 version?!?!? 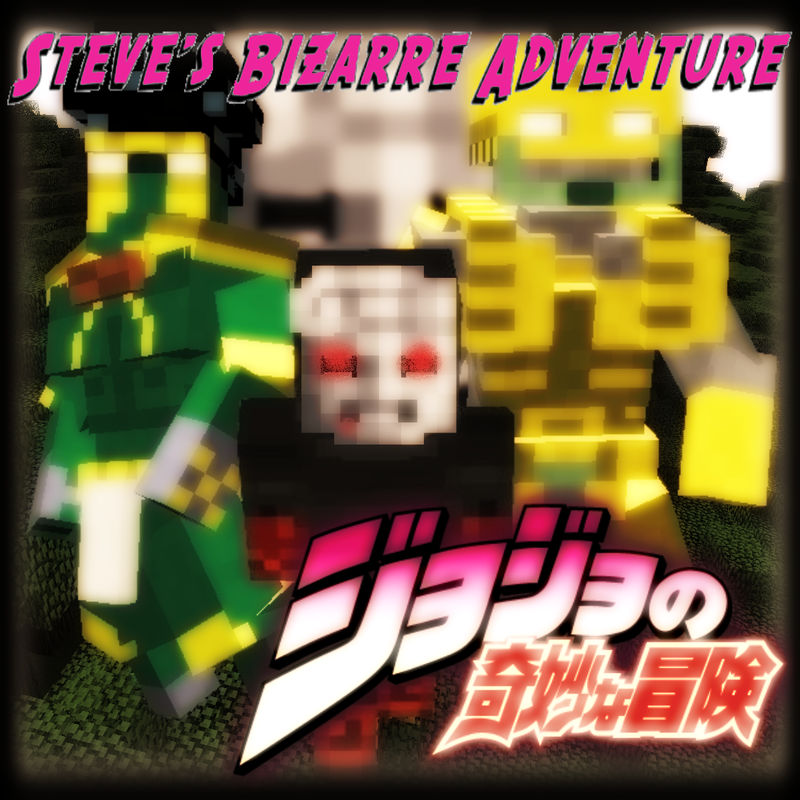 Great mod, cant wait for more stands. Hey, so I looked at the changelogs for all the versions of the mod. Let me just say thanks for making this happen in reviving this mod. But it mentioned in the 0.2.0 changelog you added Sticky Fingers powers, i'm having a bit of trouble with the controls with the mod so are they the same controls previously as before or possibly any new ones you added? Very welcome to it, myself included, there were many people who really wanted the mod updated, and as VG had released the source code, I couldn't resist getting it and giving it a go. Most controls are the same however they did change quite a bit. In the VG release of 1.6.4, some controls remained however he used items for a lot of things. In regards to the stands powers, or Sticky Fingers, it only has 1 power and does not have the zip power. It only has a small regeneration ability (as though it zipped itself together) but you can only activate it if the stand has 300 exp (gain 1 exp every so often whilst active) and the player is on less than 2 hearts. You must first sneak and then jump to actually activate it. Many of the stands abilities are activated this way. - Whilst Sneaking you then Jump. - Whilst Sprinting you then Punch. - Whilst Sneaking you then punch. To summon your stand you use "V" by default, but you can change this in controls. If you have any trouble, I have a discord account if it's any easier, or can do it over twitter DM's. Hey dude i wish u a soon happy new year ^^ hows everything going with the mod? I hope u don’t overwork ureself. Also wanted to ask how early in January do you think 1.12. comes ? I wouldnt be able to tell you how eaely im afraid, modding is one of those things where unknowns come from nowhere. Add to this all the changes ive added to the 1.7.10 version its going to add to the time. I did say early January and i intend to stick to that, so i hope eithin the first 2 weeks. I rly love this mod ( still can not run it cause i am to dumb to actually download it right i guess XD ) i am rly excited for 1.12 Version. I also look forward to Echo having all his acts. This gonna be frigging awesome! I would like Echo to have all his Acts too, I just need to make models. I'm glad you like the mod and you should be able to download and install easily enough, it's the same way as any other mod, a quick google or youtube search should show you how. And stay tuned for the 1.12, I want to release it early January, and so long as I can get to working on the 1.12 rather than patch updates for 1.7.10, it should be on schedule. I was wondering if you planing about putting in stands like lil bomber when 1.12 is out and everything is patched so it works as intended? Would be a pretty cool stand to,have In this mod like u could ( if that’s possible to Programm ) make it remote controlled so u can stand somewhere and u can fly around with lil bomber with the 2 abilitys to shoot a lil Gatling and drop a lil bomb. Maybe even adding some sort of radar for him. BTW good Job in the Hand the way the ability works is just great!